The club opened talks with Bielsa, 62, shortly after sacking Paul Heckingbottom on 1 June. A signed contract has been emailed to the club and he is expected in Leeds next weekend before pre-season training begins. Bielsa has previously managed clubs in his native Argentina, Spain, France, as well as Chile’s national side. Leeds are set to start the season with a new manager for a fifth successive year. 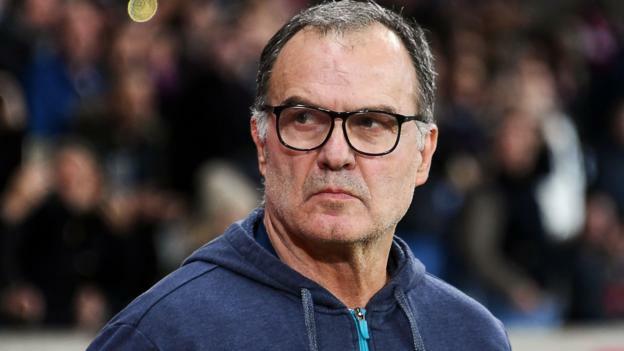 Bielsa has been Leeds’ primary target since Heckingbottom’s dismissal, with managing director Angus Kinnear saying the club wanted a more experienced manager. The Argentine has spent time in charge of Athletic Bilbao and Marseille, and was previously at Lille. However, he has been out of work since December after being sacked by the Ligue 1 side following a run of three wins in 13 games. Bielsa is highly regarded by both Manchester City boss Pep Guardiola and Tottenham manager Mauricio Pochettino, with the latter calling him his “football father”. Pochettino, who worked with Bielsa during his time as head coach of the Argentina national side between 1998 and 2004, told SFR Sport: “We are a generation of coaches who were his disciples.